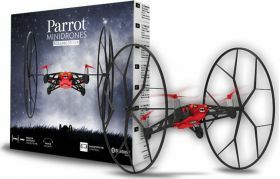 Parrot's Rolling Spider will leave you breathless. 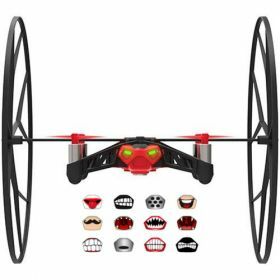 Thanks to Bluetooth Smart technology, Rolling Spider connects to your Smartphone or tablet, and is easily piloted through the free application FreeFlight 3. 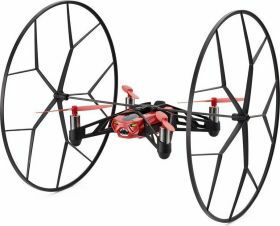 Turn any place into a playground with this fun and lively robot as it weaves through the air, showing off its acrobatic moves. With a click of your finger, Rolling Spider flips 360° and with a simple swipe it can turn 90° and 180°. Entertain your friends using pre-programmed acrobatic moves available on your application. Attach removable wheels to your Rolling Spider and get ready to roll it across the floor, up a wall or across the ceiling: the sky is the limit. An accelerometer and gyroscope inside the Rolling Spider measure and analyse its every movement, while the automatic pilot mode corrects Rolling Spider's angle and position. The vertical camera takes pictures of a set point on the ground every 16 milliseconds; each photo is then compared to the previous one in order to determine Rolling Spider's speed. Rolling Spider offers tactile, super-intuitive driving control thanks to Bluetooth Smart technology and the FreeFlight 3 application. FreeFlight 3 is compatible with Bluetooth Smart compatible iOS and Android Smartphones and tablets and will be available on Windows 8.1 and Windows Phone 8.1. This application offers a control range of up to 20 meters/65 ft. and is also used to pilot MiniDrone Jumping Sumo. Rolling Spider is available in 3 colours – white, blue and red. 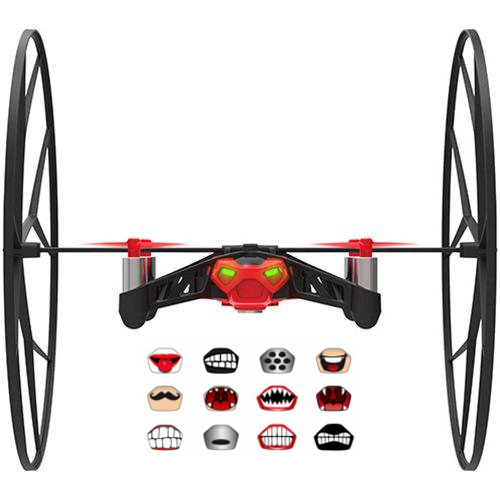 You can customise your Rolling Spider using a set of 12 stickers (included). 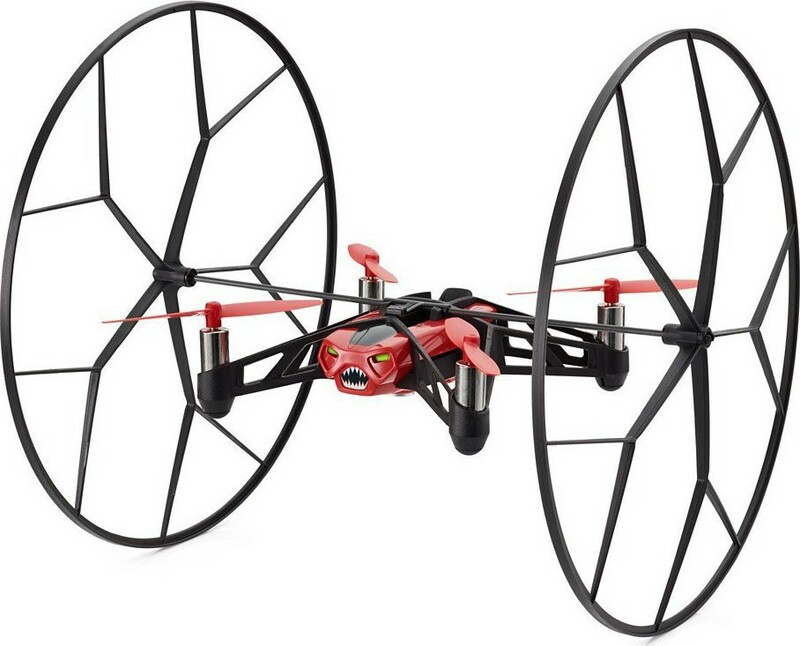 A removable Lithium-Polymer battery provides up to 8-minutes of flying time (6 minutes with wheels). The battery is also compatible with MiniDrone Jumping Sumo.